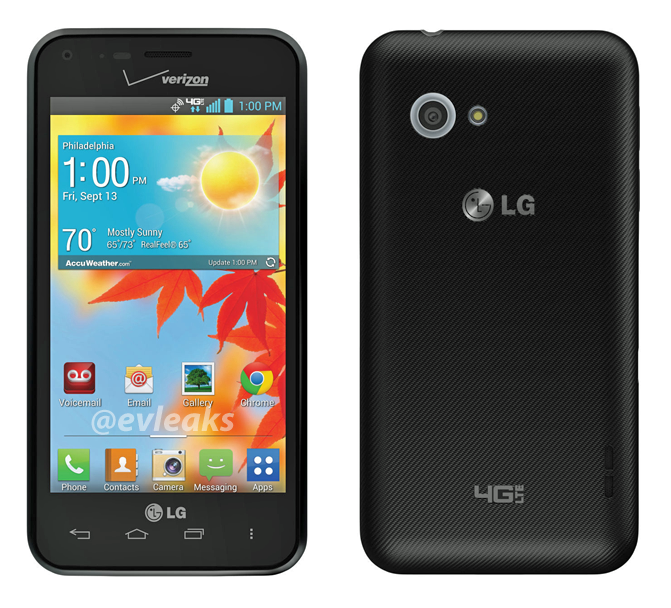 LG VS890 Enact comes with dual-core Snapdragon 400 at 1.2 GHz, Adreno 305 GPU, 1 GB of LPDDR2 RAM, and 8 GB of built-in storage. The 4.0-inch display has a resolution of 480 x 800 pixels, resulting 233.2 ppi pixel density. The main camera is 5 MP, while the secondary is 0.3 MP.